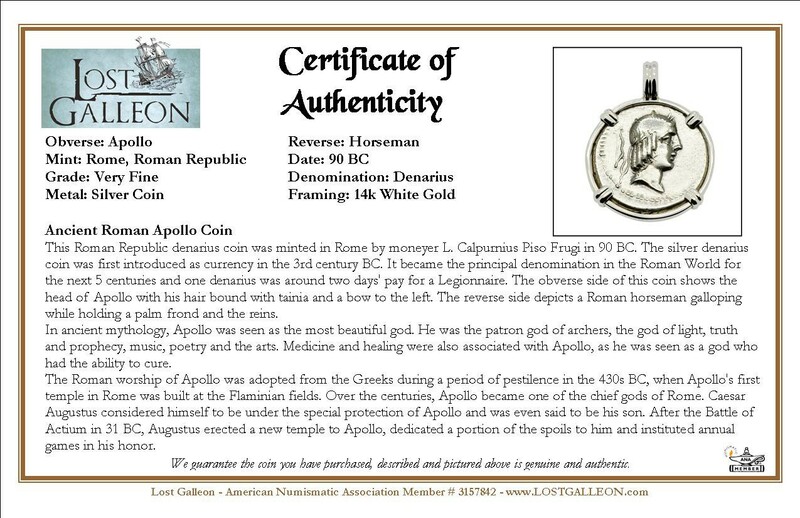 This Roman Republic silver denarius was minted by moneyer L. Calpurnius Piso Frugi in 90 BC. 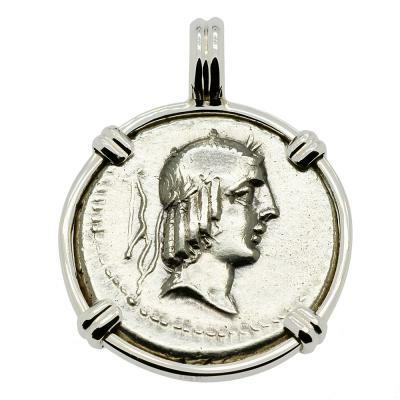 The head of Apollo is depicted on the obverse side of this coin with his hair bound with tainia. 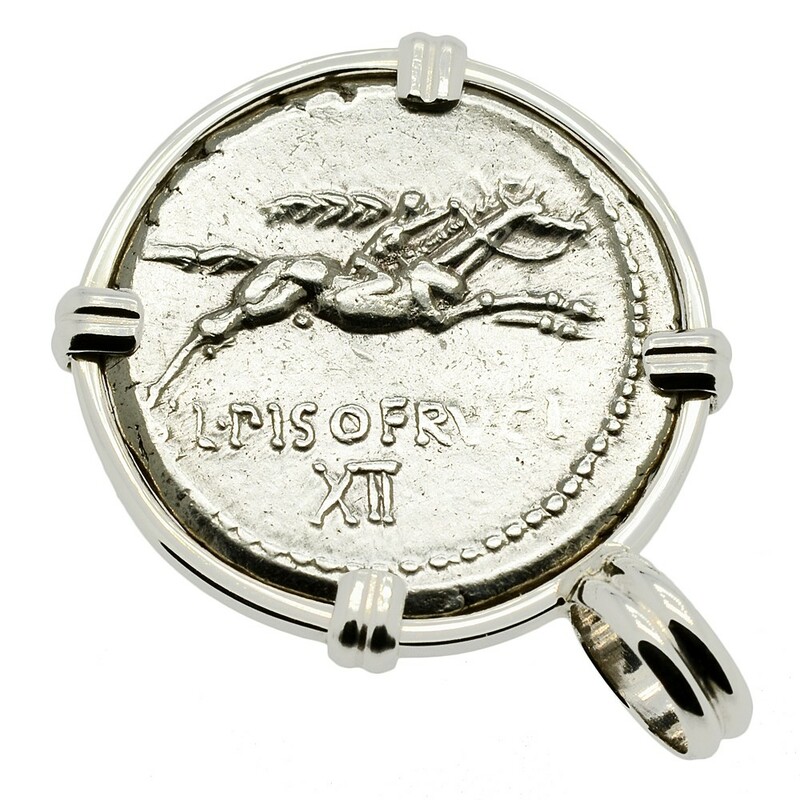 The reverse side shows a Roman horseman galloping while holding a palm frond and the reins. 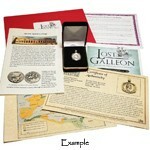 The silver denarius coin was introduced in 211 BC. It became the principal denomination in the Roman world until the middle of the third century AD and one denarius was around two days' pay for a Legionnaire.